With the release of a new Captain America movie, I felt inspired to do a new Captain America drawing. I like the other two I did, but I liked that this poster art (the source photo I used to draw this) had Chris’s face in full. 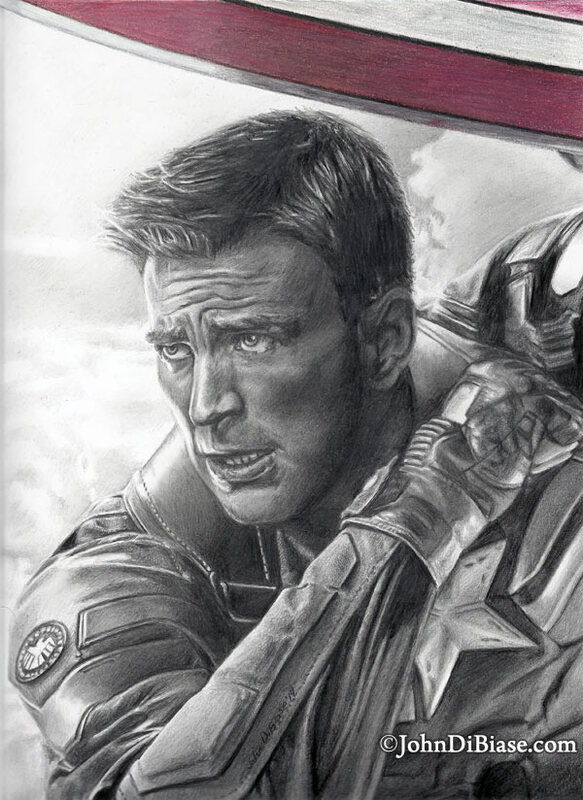 And, again, I used Prismacolor pencils for his shield, but the rest of it is in graphite. Nice . . . captured him perfectly. And such a great movie, by the way.